My eureka moment with citizenship came one morning during the mid-1990s. The New Haven Mental Health Outreach team that I ran was meeting for rounds. Ed, a peer outreach worker (a person with his own history of mental health problems who’s made progress in his recovery and his now working with others), didn’t look happy. This was surprising, given that two weeks ago he’d been the toast of the team for housing one of the people that some of our office-based colleagues were telling us we’d never be able to reach. Jim, one of Ed’s clients, was sleeping on a ledge under an I-95 highway bridge when we met him. He had a serious mental illness and alcoholism and had been estranged from his family for many years. He told Ed and the rest of us that he didn’t deserve any help and wanted to be left alone. But Ed was persistent. He built a relationship with Jim, starting small — a sandwich, a cup of coffee, new socks — and eventually got him to see our team psychiatrist and to apply, successfully, for federal disability income. And to top all this off, Ed persuaded Jim to accept housing. The day he moved in, with Ed’s help, was a day of celebration for the outreach team. If we could get Jim housed, we could do anything. When Ed’s turn came up in rounds that day, he said Jim had told him he wanted to go back to sleeping under the highway bridge. He didn’t know how to manage apartment living, felt out of place around others there, and missed his bridge buddies. He wanted to go back to where he belonged. We came up with a short-term solution for Jim — Ed spent more time with him, showed him how to use the stove, took him over to the local social club for people with mental illnesses, and Jim did pretty well for a while. But for me, Ed’s announcement in outreach rounds was a eureka moment because I realized that while we could do many things for our clients – hook them up with mental health and substance use treatment, help them apply for entitlements, find rental subsidy housing for them, and more — what we couldn’t do was help them become neighbors, community members, and citizens. Citizenship can be an awfully broad term, but it can also be too narrow. In everyday discourse it often refers to legal citizenship, or to people’s rights, or somewhat less often, to responsibilities such as paying taxes, serving on a jury, and obeying the law. But there’s another kind of citizenship, one that focuses on civic participation and association with others. It seemed that the citizenship our clients with mental illnesses needed, including those who were homeless or had criminal histories, should incorporate all of the above. Circle by Nemo. CC0 via Pixabay. We define citizenship as the person’s strong connection to the 5 Rs of rights, responsibilities, roles, resources, and relationships that a democratic society offers to its members through public and social institutions and associations, and through free social interactions among its members. 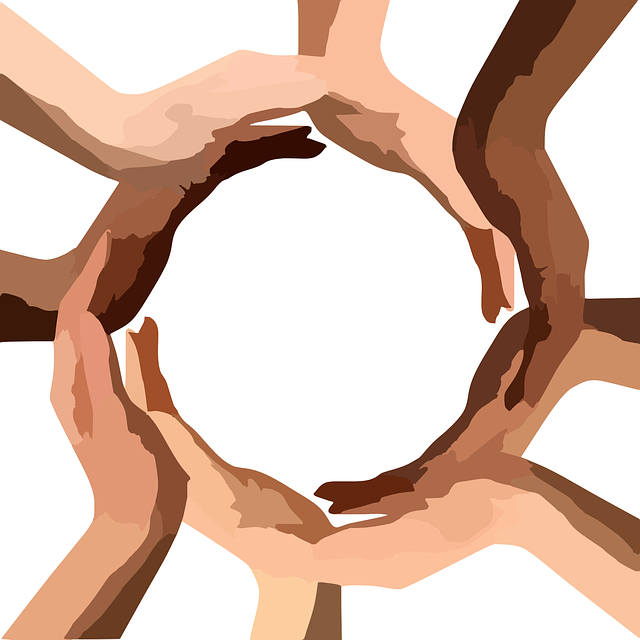 We’ve approached citizenship at both the community level and individual levels. At the community level, we’ve learned how to build connections with neighborhood associations, civic leaders, and the everyday interactions (community gardening, neighborhood clean-ups) — building bridges from community mental health centers to local neighborhoods and City Hall. We connect people with mental illnesses to others in their communities via their passions, whether playing chess or doing crafts, rather than encouraging generic “get-out-into-the-community” activities that just leave people floundering. At the individual level, we have a “citizens project” involving peer mentor support and practically-oriented classes based on the 5 Rs, followed by community valued role projects such as teaching police cadets how to approach a person on the street who’s homeless, has a mental illness, and fears being locked up — the rejects of society becoming the teachers of the protectors of society. Our randomized study of this intervention showed decreased drug and alcohol use, and increased quality of life and satisfaction with work for those employed, compared to people receiving usual mental health services. The study also showed increased anxiety and depression for the citizenship group when the intervention ended, suggesting perhaps that we need to provide more peer mentor support and next-step help for our citizenship graduates. We’ve developed an individual scale to measure citizenship based on the citizenship ideas and aspirations of people with mental illnesses, others with major life disruptions such as a serious medical illness, and people without such disruptions. This scale is also helping us hone our citizenship support efforts, based on identifying the groups of items that people need the most help with, or the identified strengths they can lead with, or both. 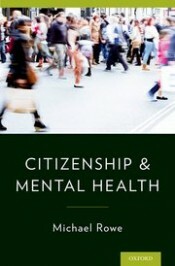 The next step for this work is to make it more available to people with mental illnesses, through use of a just-developed manual that can be used to “replicate” the citizens project, and by taking citizenship to scale through modifying the citizenship project for use in a variety of mental health treatment settings. The “citizenship” term is still fairly new in mental health care, but it hearkens back to a longstanding goal of community mental health treatment, announced in the 1961 report of the Eisenhower Commission on Mental Health: supporting a life in one’s community “in the normal manner” for people with mental illnesses. Michael Rowe is a medical sociologist, associate professor of psychiatry at the Yale School of Medicine, and Co-Director of the Yale Program on Recovery and Community Health. His research and scholarship concern citizenship in mental health care, homelessness and mental health outreach, peers as direct care staff and researchers, community re-entry of offenders with mental illnesses, narrative medicine, and medical ethics. His books include three from Oxford University Press -- Citizenship and Mental Health (2015), Classics of community psychiatry (2011), and Transforming mental health care: A practical guide to recovery-oriented practice (2008) -- along with Crossing the border: Encounters between homeless people and outreach workers (University of California Press, 1999) and The book of Jesse (The Francis Press, 2002).